All schools that had temporarily closed due to the recent violent demonstrations that rocked the country must resume lessons with immediate effect following assurances from Government of the safety of both learners and teachers, Primary and Secondary Education Minister Professor Paul Mavima has said. Addressing journalists in Harare yesterday, Prof Mavima said the majority of schools that had closed during the protests had since reopened. “The Ministry of Primary and Secondary Education would like to advise the nation and all its stakeholders that learning should resume forthwith in all schools. We have assurance from Government that the safety of all learners in our schools is guaranteed,” said Prof Mavima. He said school heads must also make sure that the loss of time due to the disturbances is compensated without any deviation from the learners 2019 academic calendar as most schools, including boarding schools and those in rural areas, continued teaching during the period. 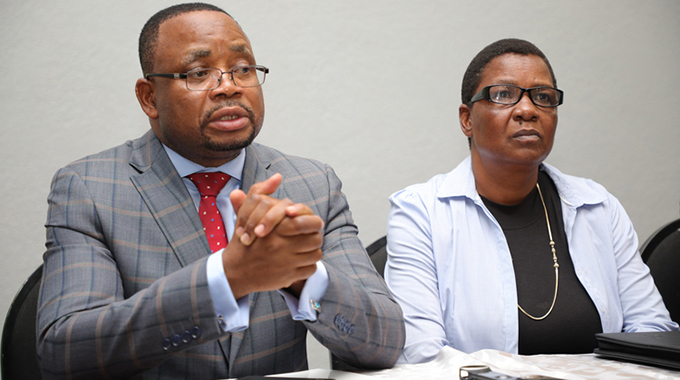 Prof Mavima said provincial and district managers are therefore urged to supervise and report any cases of schools that might still be facing challenges in resuming lessons. “Heads of schools and teachers are therefore instructed to put in place enough mechanisms to ensure that effective learning takes place with immediate effect. Our provincial and district managers are also urged to play their supervisory role and report any cases of schools that could be having challenges,” he said. Minister Mavima also made it clear that no directive had been issued by his ministry for schools to remain closed until further notice. He said in any case most schools were not affected by the protests except those in urban areas.